Long before there were breeds, and breed standards, black chickens with white earlobes that laid large white eggs were common in many parts of Spain. It is not entirely clear how these chickens first got there. Some authorities assume that they were brought north by the Arabs during their 700-year stay in Spain. Others point out that much earlier the Roman writer Columella, who was originally from what is today Cadiz in the south of Spain, describes chickens of that type in his work on agriculture, "De Re Rustica", published in 47A.D. We do know that Queen Isabel of Castilla (1451 - 1504) was particularly fond of these black fowl; and it is also believed that these may have been the kind of chickens Columbus took with him to the new world. 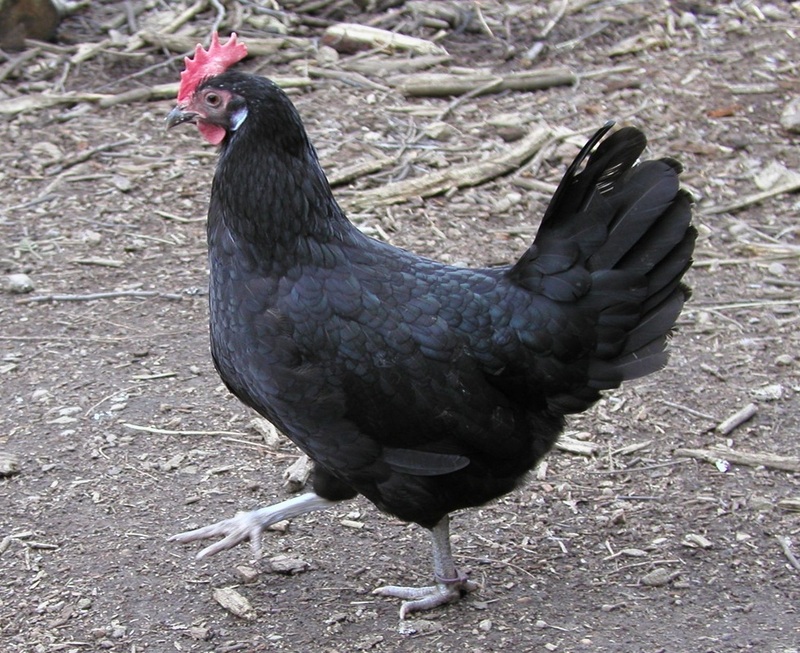 Much later, in the late 18th or early 19th century, some of these black Spanish fowl found their way to England, possibly from the island of Menorca, which was then under British rule. Thus the Minorca may have got its name. The stately birds quickly attracted the attention of English poultry fanciers who developed them into the breed we know today. The Minorca is the largest of the Mediterranean breeds of chicken, with fully grown roosters weighing up to 4kg. The blacks with the large single combs are the original variety, though white, buff and rose combed ones were later also developed. Minorcas are hardy, active birds and great foragers on free range. Traditionally famed for their egg-laying capacity, they can produce up to 180 large or extra large eggs per year. They mature early and are quite good winter layers under favourable conditions. And while they don't have the conformation of a meat breed, the young cockerels make very fine eating nonetheless! Now sadly fallen out of favour, the Minorca urgently needs more dedicated breeders!